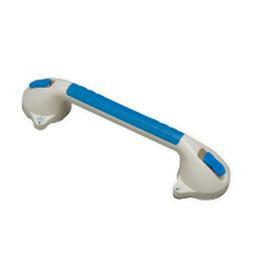 Grab Barssuction to any non-porous surfaces to prevent slips and falls. The baris contoured handle makes for a secured grip. Simply push levers downto attach to the surface or flip up to release and watch the indicatorschange from red to green when secure. Easy to adjust in a horizontal orvertical position.